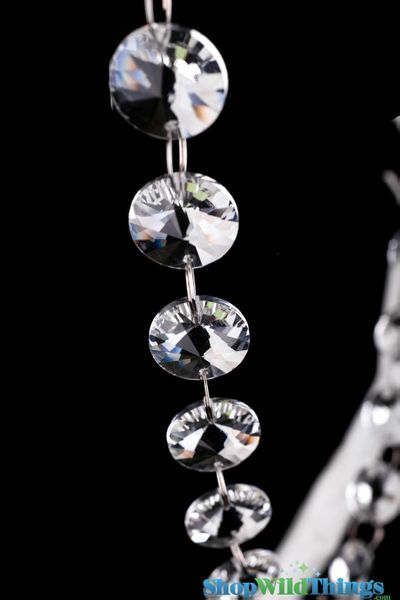 This Real Glass Crystals Garland video is short and will show you the strands much better than the photographs! 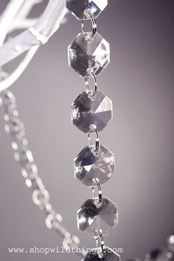 This real glass crystal garland is BEAUTIFUL and shines like crazy in the light! The bead strand is approximately 35" in length with an additional 1 1/2" long decorative hook and the circle shaped beads are multi-faceted on both sides. 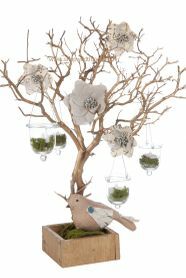 Each crystal is 3/4" in diameter and the top of the garland features a tasteful curly hook to make it easy to hang. This garland really is very pretty and yes, real glass. Unfortunately, I didn't pay attention to the size of the beads and they are too large for what I needed them for. My fault, not theirs. They came very quickly and were well packaged. 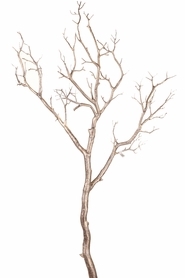 This garland is very beautiful and will accent my wedding decorations.